You’ve probably heard of people using acupressure to numb themselves for surgery instead of anesthetic, or heal sprained muscles faster, or relieve hay fever symptoms. And yes, being healthy does make it easier to write in general. But can acupressure really help you write faster and better? There’s a subset of acupressure which uses the mind-body connection to change a person’s psychological state. It’s called meridian therapy, and it’s been used to successfully treat depression, addiction, childhood traumas like physical or sexual abuse, and post-traumatic stress disorder. But you don’t have to have a big psychological trauma in your past to benefit from meridian therapy. It’s also possible to manage your mental state with acupressure for greater creativity and productivity. Of all the systems of meridian therapy out there, one of my favorites is Tapas Acupressure Technique (TAT), invented by Tapas Fleming (www.tatlife.com). TAT is extremely simple to use, it’s highly effective, and you can do it to yourself, no equipment needed. There are many protocols for applying TAT, but the most basic version is to hold four acupressure points on your head while thinking about the issue that’s throwing you mentally out-of-whack. Place one hand on the back of your head, so that the center of your palm is resting on the bump at the back of your skull. Take your other hand and gently pinch the corners of your eyebrows (at the top of the bridge of your nose) with your thumb and your ring finger. Place your middle finger over your third eye point. You can close your eyes if you like, or look at something that’s symbolic of the issue at hand. After a minute or two, you may find your muscles starting to relax (TAT is great for reducing stress levels). If you need to sit in a more comfortable position or even lie down to hold the pose without straining, feel free. If you’re lying down, you can put a pillow under the elbow of the arm that’s touching the face points for support. So how can you use TAT to be more creative and more prolific? Clear your mind before you start writing. Just let your mind wander for a few minutes while you hold the pose. When I do this, I find myself thinking about things on my to-do list and life’s little annoyances, whatever is bugging me at the moment. I know I’ve held the pose long enough when I find that the stuff that was bugging me suddenly seems boring, and my writing project seems more interesting. Clearing my mind like this before writing usually makes me harder to distract while working. This is especially good to do if you’ve got some negative mental associations around your work-in-progress: a cutting critique from a writing partner who wasn’t as gentle as they could have been, doubts about the marketability of the story, frustration that revisions are taking longer than expected. To clear away these negative associations before your writing session, hold the TAT pose and stare at the manuscript (or the open file on your computer screen). If you feel moved to voice some of your negative thoughts about the project, go ahead. After you ask the relevant question, continue to hold the pose and listen for an answer. Turn off your internal editor while brainstorming new ideas. The fastest way to stifle your creative flow is to be critical of new ideas as your subconscious throws them up to you. Brainstorming while holding the TAT pose can help quiet that inner editor so that the ideas flow more freely. Then listen for the answer. When I do this, I usually go through several iterations, writing down half a dozen answers and then reassuming the pose and asking the same question again, until I’ve generated a long list of options. I’m often amazed at how many different solutions come to me after only a few minutes of brainstorming. Release emotions that are keeping you from focusing on writing, like jealousy of others’ success or frustration about a rejection. Sometimes it seems easier to bury these unpleasant emotions and pretend they’re not a problem. But suppressing your unhappiness is not only unhealthy; it can also strangle your creativity, leading to burnout or writer’s block in the long run. TAT is a safe, gentle way to deal with those emotions directly and let them go. All you have to do is hold the pose and allow yourself to focus on your feelings. Don’t try to censor your thoughts—let them bubble up into your conscious mind, no matter how awful or depressing they seem. Feel free to say them out loud if you’re alone. If these voiced emotions turn into a rant, vent away! Follow the flow of emotions wherever it takes you. You may discover thoughts and feelings that you weren’t even aware of having. It’s not unusual to cycle through the same thoughts over and over. As you continue to hold the TAT pose and let the emotions run their course, you’ll start to feel more relaxed and detached. The emotional charge on those negative thoughts will fade, and it will become easier to think about that rejection or the savage review without feeling furious or devastated. You may start to feel lighter or less burdened, or even experience an upswell of positive emotion. If the emotions around a particular issue or event are particularly intense, you may need to do more than one session in order to completely let them go. You didn’t accumulate all those negative thoughts and feelings at once, and you don’t have to let go of them all at once. Do TAT for them at whatever pace is comfortable. I’m not claiming that meridian therapy will guarantee you a spot on the bestseller list or turn you into the next Nora Roberts. But it can help you handle the psychological obstacles of the writer’s life more quickly and easily, so you’re free to focus on what you really want to do—write! Writers are different. We don’t always think in straight lines. We take leaps of logic, we think metaphorically, and we know that in order to make something beautiful, you might also have to make a mess. You’ve probably tried to adopt at least one organizing system already. Maybe it was in a bestselling book written by someone in a suit. Or maybe it was the system that works for your brother the accountant or your naturally-neat co-worker. Whatever system you tried, it was probably very logical and made total sense, until you tried to force yourself to fit into it. Did you come to the conclusion that there’s something wrong with you? That you’re naturally disorganized? That creativity and organization can’t coexist? First the good news: you’re not broken, and it is possible to be creative and organized at the same time. Any functional system of organization for writers must be designed around the writing process. And every writer’s process is a little bit different. 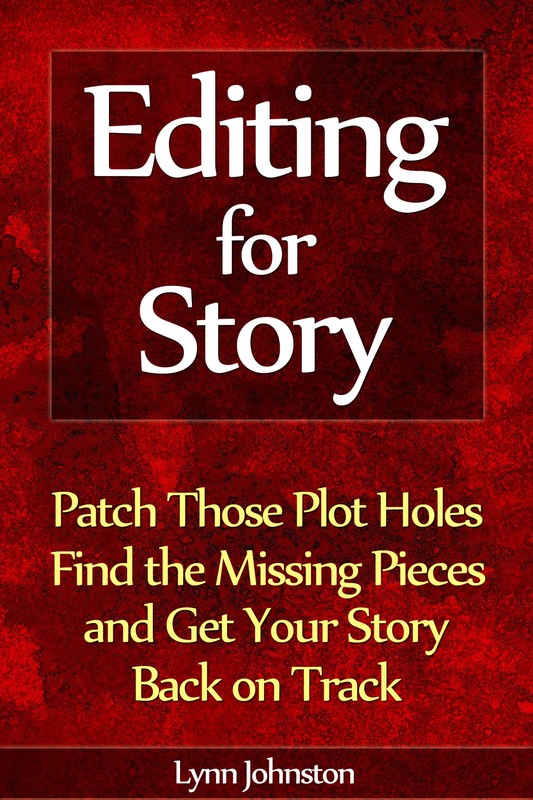 This book shows you how to analyze your writing process and set up your tools and resources in a way that feels natural and supports you in being more successful in your writing career. This entry was posted in Creativity and tagged acupressure, addiction, agent, brainstorming, brainstorming session, childhood trauma, clear your mind, creative state, creativity, critique partner, cultivating creativity, depression, editor, eliminate writer's block, emotional charge, emotional freedom technique, enhancing creativity, get over writer's block, getting over rejection, greater creativity, greater productivity, hay fever, increasing word count, lynn johnston, mental state, meridian therapy, mind-body connection, negative emotions, physical abuse, post-traumatic stress disorder, pre-writing ritual, pressure points, productivity, productivity for writers, psychological obstacles, psychological state, rejections, reviewer, sexual abuse, story problem, story question, surgery, tapas acupressure technique, tapas fleming, tapping, tat, tat pose, tat protocol, write better, write faster, write more, writer's block, writer's life, writing, writing life on December 15, 2011 by Lynn Johnston. Are You Making These 6 Mistakes That Lead to Writer’s Block?